East Anglian mechanical engineering contractor Pruce Newman have announced the appointment of two new members to its Executive Board with effect from 1st June 2017. The new Operations Directors, Jamie Key and Darren Razzell, are both existing employees of the business, and bring specific industry skills and experience to the board to support Pruce Newman’s plans for further growth. 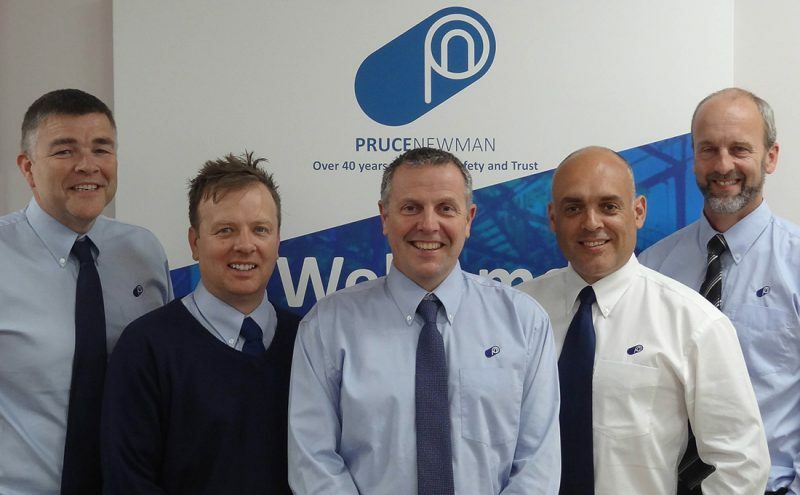 Jamie (pictured above, centre left) and Darren (centre right) join existing directors Alan Pruce (left) and Tim Moorse (right), and Managing Director Graham Newman (centre), to form the expanded Executive Board of Pruce Newman, which has its head office and workshops in Wymondham, Norfolk. Established in 1970 by John Pruce and Brian Newman, Pruce Newman has developed from its entrepreneurial beginnings to become a prominent local employer with over 120 staff and a turnover of £10 Million, and still remains under family ownership. 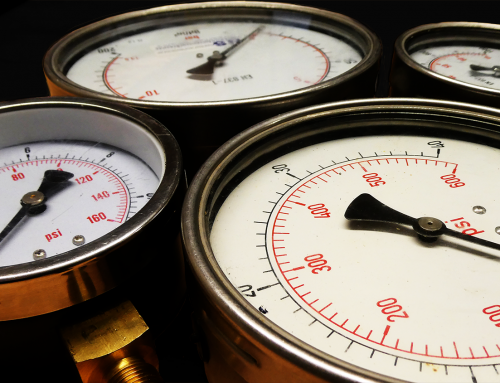 The company has bases in Norfolk and Essex, and provides specialist industrial pipework fabrication and installation services to clients across the South and East of England. Driven by its core values of Quality, Safety and Trust, Pruce Newman has built a loyal client base in the region, counting many blue-chip organisations and international brands amongst its customers. Working in industries as diverse as oil & gas, power generation, pharmaceuticals, agrochemicals, food & drink and fuel storage terminals, the company has seen a sustained increase in demand for its services, mainly due to its high levels of craftsmanship and customer service, and its ability to undertake and manage projects ranging from simple fabrication to the design and build of complete new production facilities. With further growth planned over the next ten years, the Board believe that the appointment of two new directors to their team will provide a sound basis for moving forward. Between them, Darren and Jamie have over 30 years’ experience of working for Pruce Newman, and 50 years’ industry experience. As the business continues to grow, they will take responsibility for Pruce Newman’s day-to-day contracting operations, ensuring that the company maintains its focus on safely delivering high quality projects for its clients. “I was delighted to be invited to join the Board of Directors and have enthusiastically accepted the position. In previous employment with other organisations, I had often looked on with admiration at Pruce Newman’s well-respected business practice. Now, I hold a real sense of pride to work with such loyal, dedicated and talented colleagues who together equate to quite a unique business operation. I am looking forward to helping to lead the business and to compliment the board with alternative skills and experience which I hope will bring additional depth and variation to Pruce Newman’s opportunities. “I’m delighted to welcome Jamie and Darren to the Board at such an exciting time for the business. Pruce Newman is proud of its strong family ethos, and both Jamie and Darren have been part of that family for the past 18 years. As we move forward and our business continues to grow, I’m gratified that our philosophy of nurturing and developing talent from within has produced two individuals with the skills, experience and abilities to lead that growth into the future.